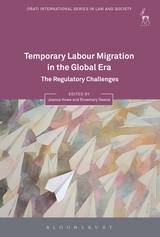 Globalisation, the shift from manufacturing to services as a source of employment, and the spread of information-based systems and technologies have given birth to a new economy, which emphasises flexibility in the labour market and in employment relations. These changes have led to the erosion of the standard (industrial) employment relationship and an increase in precarious work - work which is poorly paid and insecure. 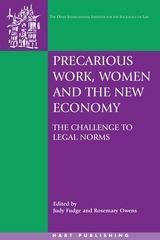 Women perform a disproportionate amount of precarious work. 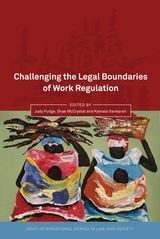 This collection of original essays by leading scholars on labour law and women's work explores the relationship between precarious work and gender, and evaluates the extent to which the growth and spread of precarious work challenges traditional norms of labour law and conventional forms of legal regulation.The book provides a comparative perspective by furnishing case studies from Australia, Canada, the Netherlands, Quebec, Sweden, the UK, and the US, as well as the international and supranational context through essays that focus on the IMF, the ILO, and the EU. 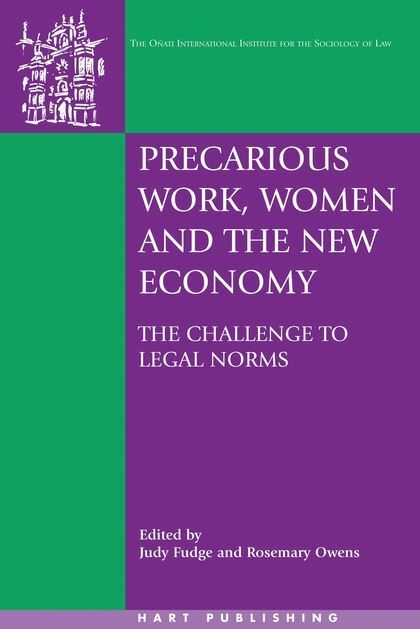 Common themes and concepts thread throughout the essays, which grapple with the legal and public policy challenges posed by women's precarious work. Judy Fudge is Professor and Lansdowne Chair at the Faculty of Law at the University of Victoria, British Columbia, Canada. Rosemary Owens is Emerita Professor at the University of Adelaide.